March 28, 2016 - No Comments! “What have I done for a living? 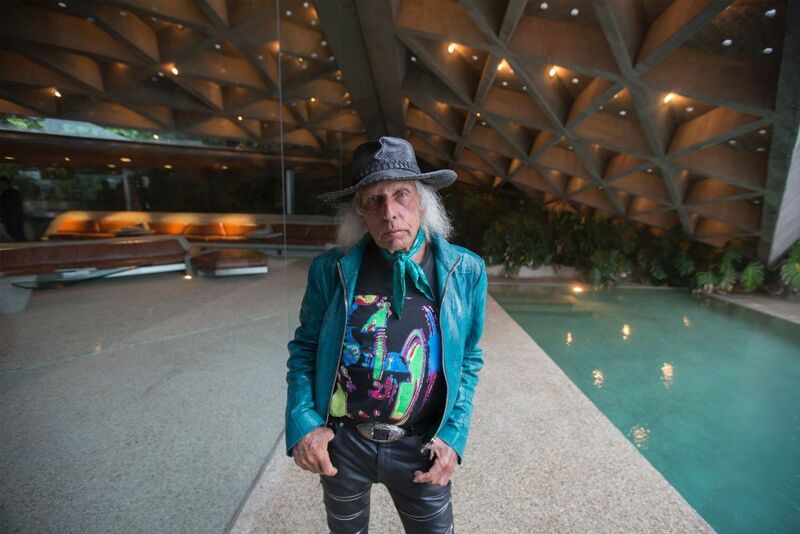 That seems to be the crux of what everybody wants to know,” laughs James Goldstein as he stands in the bedroom of his iconic John Lautner-designed home in Beverly Crest, just above Beverly Hills. 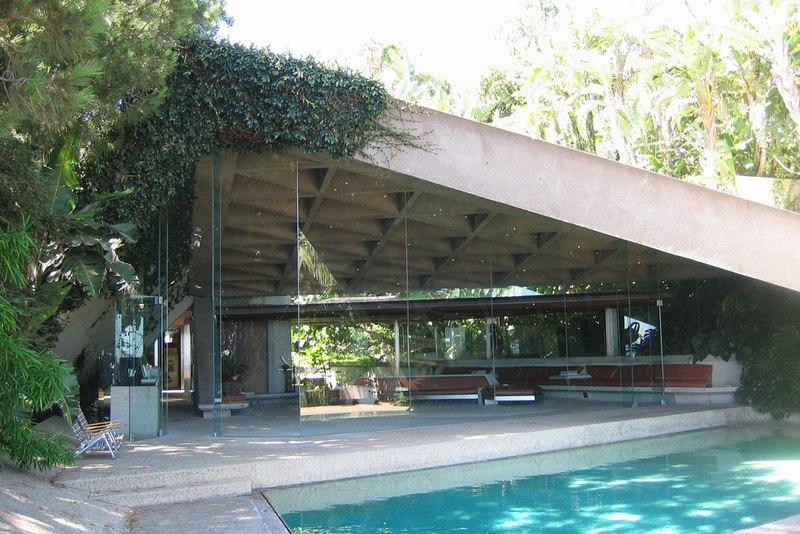 This time, the descriptor rings true — the plate glass windows and cantilevered concrete pool deck are recognizable from numerous contemporary movies and fashion ad campaigns. 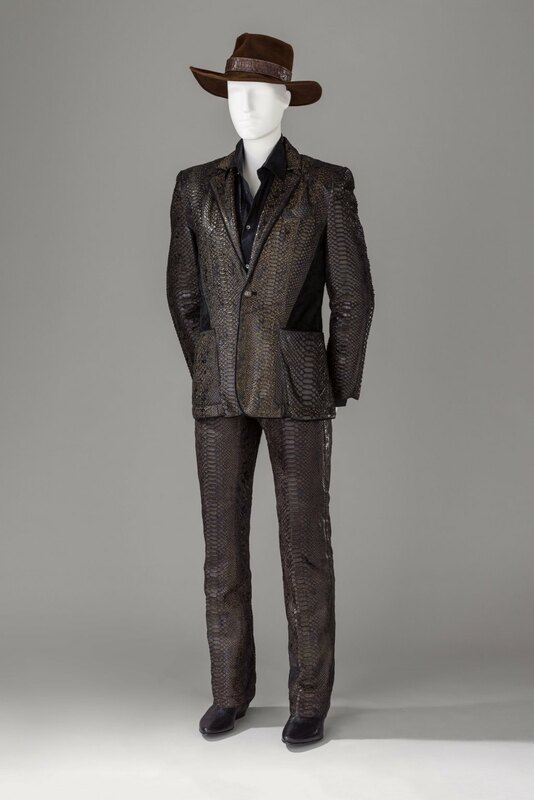 Last month, Goldstein, who’s nearly as familiar as his home due to his regular courtside seat at L.A. Lakers games and perch at Paris Fashion Week parties, revealed that he’ll be donating his spectacular estate to the Los Angeles County Museum of Art. Tonight, LACMA will celebrate the gift with a party there. 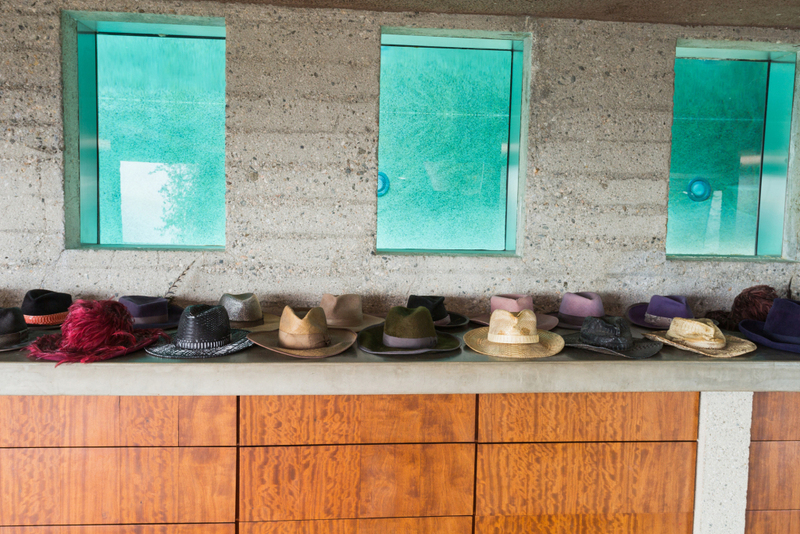 His famous home, which has appeared in films such as “The Big Lebowski” and “Charlie’s Angels: Full Throttle,” has also played host to many private parties and photo shoots over the years since he purchased it in 1972. The space features a lush tropical garden, tennis court (Maria Sharapova shot her last ad for Tag Heuer here; that image now hangs in the balance with her contract), entertainment complex and — most notably — a James Turrell skyspace. 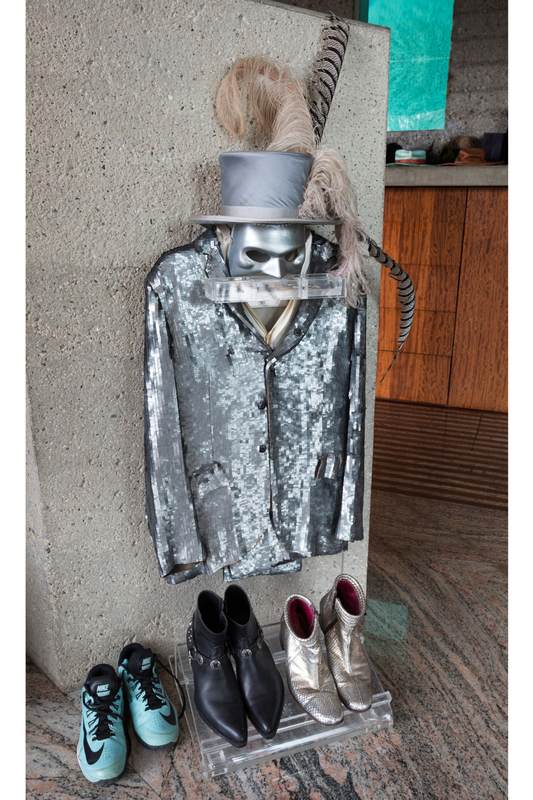 In addition to the property, Goldstein will be donating the home’s contents, which include an iconic 1961 Rolls-Royce Silver Cloud, various works of art by Ed Ruscha, DeWain Valentine, Bernar Venet and Kenny Scharf, and his entire wardrobe, including custom-made hats and hundreds of jackets from designers like Balmainand Jean Paul Gaultier.